WATERLOO, Iowa --- A new environmental report bodes well for redevelopment at the former Chamberlain Manufacturing plant. But city and U.S. Environmental Protection Agency officials said more testing and cleanup is required at the contaminated complex near Gates Park before a future use can be determined. A health consultation performed for the EPA by the Iowa Department of Public Health found the current levels of chemical contamination discovered at the Chamberlain plant would not preclude future business, residential or recreational uses. "An evaluation of the information regarding on-site soil contamination would seem to indicate that using the property for all three potential site uses would have minimal adverse health impact to people," the report said. But Bruce Morrison, of the EPA's Region 7 office in Kansas City, Kan., said more testing is required both on and off the plant site. "Risk is a challenging thing," he said. "There's still groundwater contamination and soil contamination. Chamberlain is in the process of doing more groundwater monitoring and they have other steps to complete." The former defense contractor operated at East Fourth and Esther streets from 1919 until 1994. The city of Waterloo acquired the property in 2005 and began working with the EPA, using federal grants to tear down the buildings and test for contaminants. The EPA issued an order in April requiring Chamberlain Manufacturing, now a division of Duchossois Industries Inc. of Elmhurst, Ill., to implement a comprehensive plan to clean up contaminated soil and groundwater. "Chamberlain has complied with the order and hired a very competent contractor," Morrison said. "They've installed mitigation systems on eight residences out there and those systems are working correctly. There's also a number of homes that will be monitored periodically." 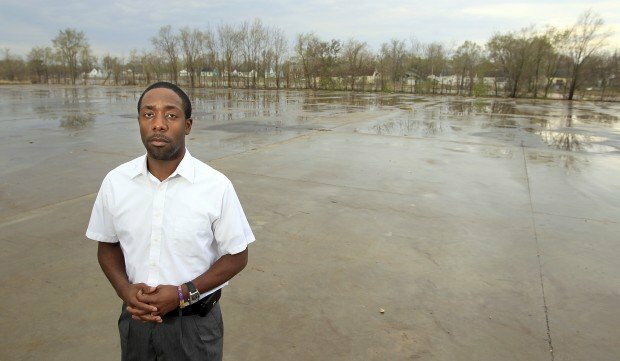 City Council members recently approved a $43,000 contract with Howard R. Green Co. to prepare plans and bid documents to remove concrete slabs --- many being larger than football fields --- at the fenced site. "We just kind of razed the buildings from the ground up but we can't leave it in the state it's in," said Community Planning and Development Director Noel Anderson. "Now the goal is to tear up the concrete slabs and leave it as green space." Additional testing can be conducted when the concrete is removed. 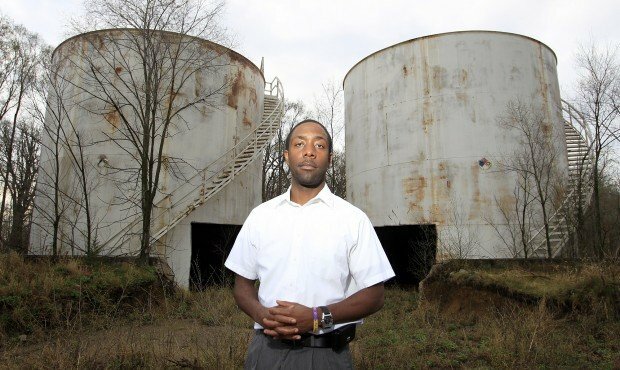 Ward 4 Councilman Quentin Hart has been at meetings with neighbors to discuss their ongoing concerns with contamination and the future use of the plant. "Folks are still concerned and they just want to know that their concerns are being met," Hart said. "They want to be involved in the decision making. "The city has done its part; we've torn down the buildings and we're taking up the concrete," he said. "Now it's up to Chamberlain's to follow through."